At Winton Woods City Schools, we know the potential for each of our students is unlimited. Everything that we are putting in place is for the benefit of all children, their unique academic needs and their future success. Above all, our goal remains ensuring all students achieve their highest potential. We believe in true educational reform, and it continues to guide everything we do throughout the district. We continue to raise our standards for academics and support that with tutoring partnerships for our younger students and peer tutoring in our high school. Ohio’s Third Grade Reading Guarantee was met by 96% of our third graders, and the introduction of our new ACT Prep course at the high school has our scores on the rise. In the future the district will offer all-day preschool, as we believe this is a fundamental building block to help our students prepare for kindergarten and start on the journey to academic success. The core business of this district is centered around the belief that students must be equipped with the necessary skills to perform at the highest levels possible. To achieve this we will continue to strengthen programs for gifted students, improve academic standards for students who are achieving in the middle, and work diligently to help students with academic challenges to overcome those obstacles. As with all endeavors, we have found that working collectively and cooperatively makes big jobs easier. We will continue to collaborate with our Winton Woods parents, community members and business partners to help find solutions and achieve successes that benefit all of our communities. 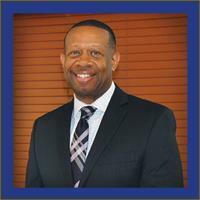 I thank you for choosing Winton Woods City Schools and invite you to join in working on the strategic plan throughout the district to help our students achieve and succeed.